The Land Rover Discovery brings joy to Destin drivers due to its incredible refinement and performance features. Inside the cabin, you and your passengers will enjoy a unique dashboard, premium leather seating, and authentic wood and metal finishes, giving this a look of a lifetime. If you want to enjoy more of the Fairhope skyline, enjoy a breathtaking sight from the panoramic roof. 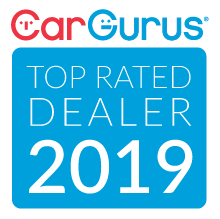 As for the Land Rover performance, this model has been reduced by 1,000 pounds for better agility, and the 3.0L engine that offers 340 hp and 332 lb-ft of torque will help you navigate the roadways like a pro. Fuji White 2019 Land Rover Discovery SE 4WD ZF 8-Speed Automatic V6 Supercharged Rear Seat Convenience Pack, Premium Interior Protection & Storage Pack, Natural Shadow Oak Veneer, Black Contrast Roof, Black Roof Rails, Power Opening Front Sunroof w/ Fixed Panoramic Rear Sunroof, Interactive Driver Display, Auto Dimming Mirrors, Tow Hitch Receiver, 7 Seat Package, Auto High-beam Headlights, Black Design Package, Cold Climate Package, Electronic Air Suspension, Exterior Parking Camera Rear, Gloss Black Door Mirror Caps, Gloss Black Front Grille, Heated Front & Rear Seats, Heated Steering Wheel, Heated Washer Jets, Power Liftgate, Radio: Meridian Sound System (380 Watts), Speed control, Wheels: 20" 5 Split-Spoke w/Gloss Black Finish. Recent Arrival! Let the team at Joe Bullard introduce you to an entirely new kind of car-buying experience. You will love doing business with us no matter where you live! If you’re looking for your next Land Rover or Jaguar we have them! We stock over 200 pre-owned cars including all makes and models to fit your lifestyle! We have your next used car, truck or SUV and something for every taste and every need. If you want peace of mind our Certified sales staff and technicians are here to help! We offer a variety of financing opportunities! If you are asking yourself what is my trade worth, we can help you answer that too! Servicing the Mobile Alabama area and we ship to anywhere in the US! We stand up to what we say and its simple! The customer comes first! Visit us at any of our locations or 24/7 at www.joebullard.com. Santorini Black Metallic 2019 Land Rover Discovery HSE 4WD ZF 8-Speed Automatic V6 Supercharged Rear Seat Convenience Pack, Premium Interior Protection & Storage Pack, Natural Charcoal Oak Veneer, Front Fog Lights, Black Roof Rails, Head-Up Display, Cabin Air Ionization, Ebony Morzine Headlining, 360 Surround Camera System, 4-Zone Climate Control, 7 Seat Luxury Climate Comfort Package, 7 Seat Package, Adaptive Cruise Control, Climate Front & Rear Seats w/Heated 3rd Row Seats, Driver Assist Package, Electronic Air Suspension, Heated Dr/Pass 16 Way Fr Seats w/Memory - Style 4, Heated Steering Wheel, Heated Washer Jets, Intelligent Seat Fold, Power 3rd Row Seats, Radio: Meridian Surround Sound System (825 Watts), Remote Intelligent Seat Fold Package, SiriusXM Satellite Radio & HD Radio, Wheels: 21" 9 Spoke w/Diamond Turned Finish, Windsor Leather Seat Trim. Recent Arrival! Let the team at Joe Bullard introduce you to an entirely new kind of car-buying experience. You will love doing business with us no matter where you live! If you’re looking for your next Land Rover or Jaguar we have them! We stock over 200 pre-owned cars including all makes and models to fit your lifestyle! We have your next used car, truck or SUV and something for every taste and every need. If you want peace of mind our Certified sales staff and technicians are here to help! We offer a variety of financing opportunities! If you are asking yourself what is my trade worth, we can help you answer that too! Servicing the Mobile Alabama area and we ship to anywhere in the US! We stand up to what we say and its simple! The customer comes first! Visit us at any of our locations or 24/7 at www.joebullard.com. The Land Rover Discovery is an attractive model that all drivers should experience. 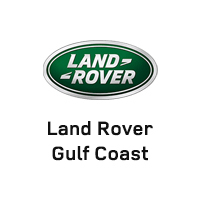 Whether you’re looking for a Discovery review, great prices, or a plethora of models to choose from, visit Land Rover Gulf Coast today at 1419 East I65 Service Road South in Mobile, AL, or contact us at 844-334-3066.